I needed to cut a 1/4″ groove in the bottom before gluing the carcase. Well, I guess I got a little ahead if myself. I glued up the carcase without plowing the groove. I started to cut the groove with a chisel. 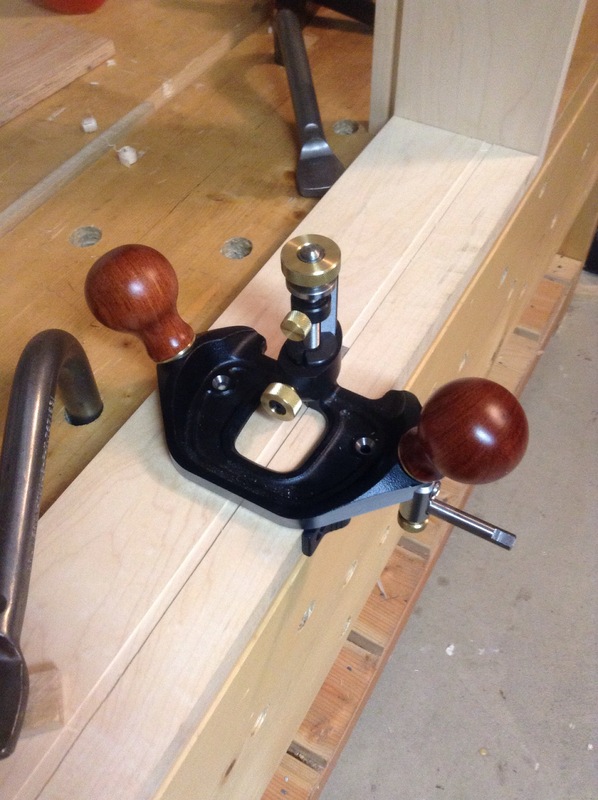 After some frustration, I called on the problem solver…A.K.A the Veritas router plane. It is such a dream to use. I was able to cut the groove in no time. With the fence and bullnose configuration, it really was too easy. 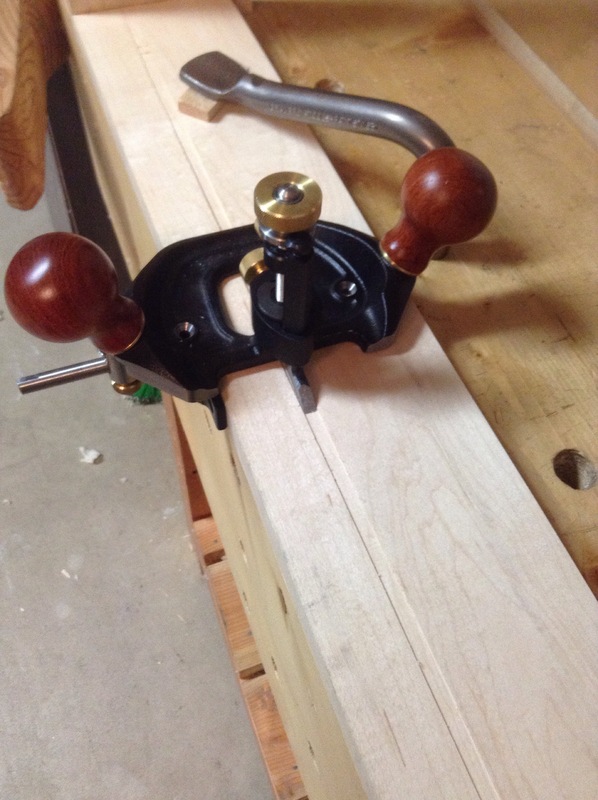 This entry was posted in furniture, hand tools, plate rack, tool review, VCF, woodworking and tagged hand tool dado, planing groove, veritas router plane by villagecustomfurniture. Bookmark the permalink.